Is Settling In Your Best Interest ? A car wreck can happen without warning in Las Vegas and often have serious consequences. One minute….. Whether you were in Las Vegas on a special romantic getaway, a gambling trip with friends, on business…. If your loved one was killed in an accidental death due to someone else’s negligence or reckless conduct…. Motorcycle accident injury victims typically suffer far worse bodily harm than car or truck crash…. Las Vegas casino injuries happen frequently, though casino owners keep their premises liability cases…. You may have been walking down your own street and the neighbor’s dog ran up and bit…. The terms “property accident injury” and “premises injury” refer to any Nevada personal injury…. Matt and his team were there for me when I needed them. They got all the facts and pursued my case quickly and they got me a bigger settlement than I expected. They are honest and care about people. I had what I thought was a very difficult case and I thought it would be a long haul before it got settled, but to my surprise, Mr. Aaron was able to get the defendant to settle out of court for a much higher amount than other in my situation were able to win. Kudos to Aaron Law. I am a happy camper now. I have worked with Matt on various lawsuits for my family over the years and I have not come across someone who I trust this much. Most lawyers want to get you in and out of their office as fast as possible, but Matt likes to make sure you understand everything about your case so you can weigh your options. You can’t go wrong by working with them. Motorcycle accident cases involve reading and processing many pages of records and evidence. 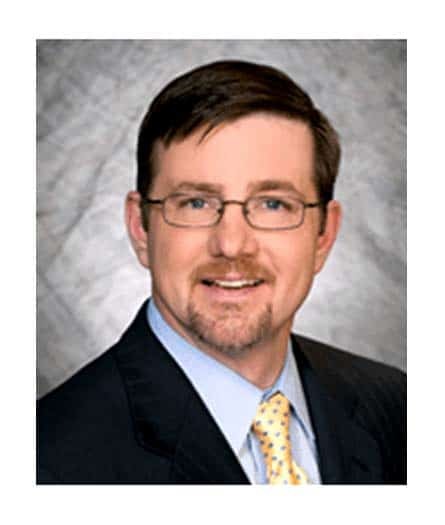 With much research and practical experience, Aaron Law Group has the necessary tools to handle cases requiring substantial review and discovery. With a breadth of experience practicing motorcycle accident law, Aaron Law Group measures its success by the number of Carson City area clients who refer their friends and family to our practice. The personal satisfaction of each motorcycle accident client is the main goal of Aaron Law Group. After much experience of successfully working cases, Aaron Law Group can formulate a strategy with a high chance of a favorable outcome. That experience and knowledge will benefit Carson City area clients who need compensation to pay for the expenses caused by their motorcycle accident. Residents from Carson City should call to discuss the details of their case. 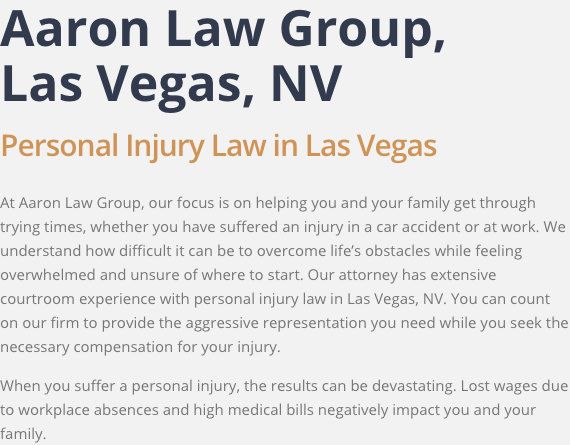 When you need a personal injury lawyer Carson City residents trust, Aaron Law Group is here to help. Aaron Law Group is dedicated to improving the lives of each client and obtaining the most favorable outcome possible for their personal injury claims. For more information about Aaron Law Group, or to schedule a free case evaluation with a top personal injury lawyer Miami FL trusts, call (702) 550-1111 today. At Aaron Law Group, our focus is on helping you and your family get through trying times, whether you have suffered an injury in a car accident or at work. We understand how difficult it can be to overcome life’s obstacles while feeling overwhelmed and unsure of where to start. Our attorney has extensive courtroom experience with personal injury law in Las Vegas, NV. You can count on our firm to provide the aggressive representation you need while you seek the necessary compensation for your injury. 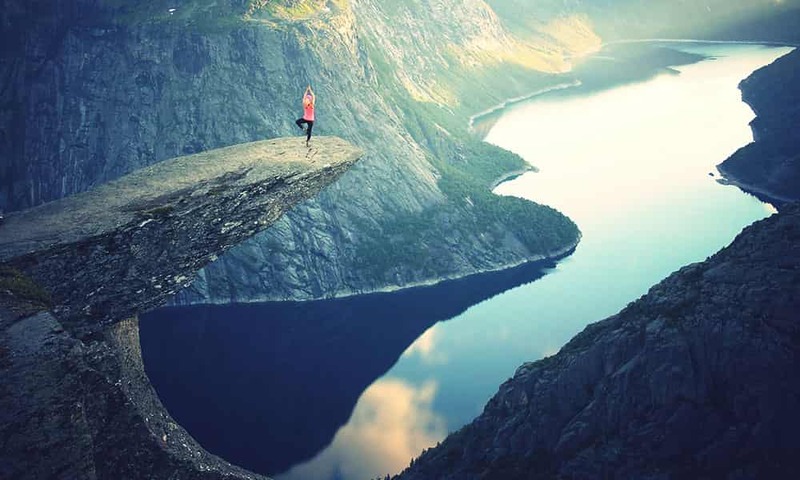 This site is maintained by Performance First Marketing and Los Angeles Injury Group.